As Christians we face many challenges in these uncertain times. We want to enjoy life, we want to do things that provide us pleasure and act as if we answer to no one. Unless we are spiritually dead we also experience that vague feeling that we should be doing something that makes a difference in the world, something that lightens someone else’s burden or somehow indicates that we are Christians and care about our fellow man. Our drive to enjoy life and our drive to help our fellow man come together and challenge us to think about what is important to us. On the surface Luke’s story is about fishing, but I believe it is telling us to move out of our comfort zone and sail into uncharted waters for the sake of Christ and his Kingdom. Jesus instructed the fishermen to take their boats to deeper water and cast their nets out for a catch. These fishermen have been fishing all night with nothing to show for their effort, they were tired, and the last thing they needed was fishing advice from a carpenter. These times were much simpler than today, no fish meant no food to these people. 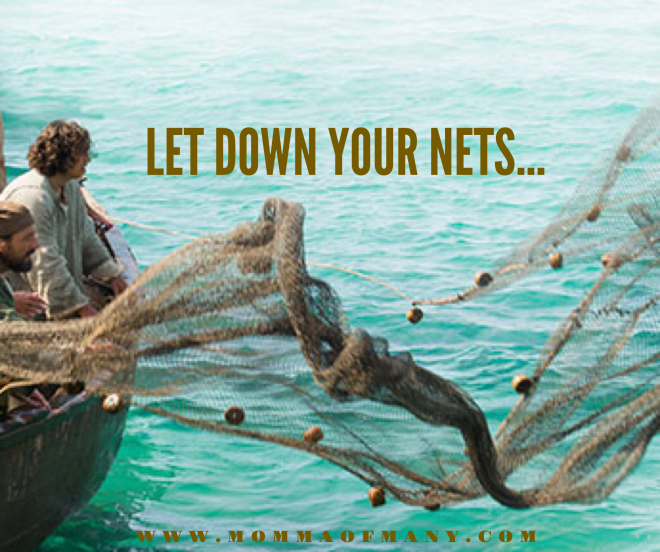 They obeyed Jesus and were pleasantly surprised to catch so many fish that their nets were starting to tear. We assume they were greatly pleased. that Jesus don’t heal the sick and blind. Jesus does heal the sick and the blind, we just need to find them, take their hands and lead them to the Lord. Where do we find the sick and the blind? Look around you while swimming in the deeper water. You can most likely find them already in your everyday life, at work, at school, or even in your church. Yes some people are just going through the motions, and hoping they are doing it correctly by attending church. Take their hands, answer their questions, listen to their concerns and lead them to our Lord. he’s pouring out that latter rain. Come to the lord and be refreshed, be rejuvenated, and be replenished. The Lord will fill your soul with joy and peace, quench that thirst and take away your pain once and for all. Don’t worry about the water being too deep, Jesus is your lifesaver!